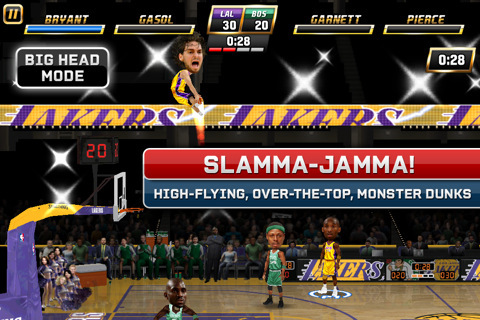 NBA Jam is here for the iPhone. Electronic Arts have released the app for iOS which sells for $4.99 with 2 modes on the iPhone: Campaign and Instant Action. Controls use a combination of swipes and virtual d-pads. Review coming soon. If you’re from the Old School, you’ll feel the ‘90s nostalgia while you play the hottest new arcade sports game on the App Store. Featuring the voice of Tim Kitzrow (the original NBA JAM play-by-play announcer), you’ll hear all the classic catchphrases plus a few new ones recorded just for this game. This JAM is all about “boomshakalaka” -– and beyond! 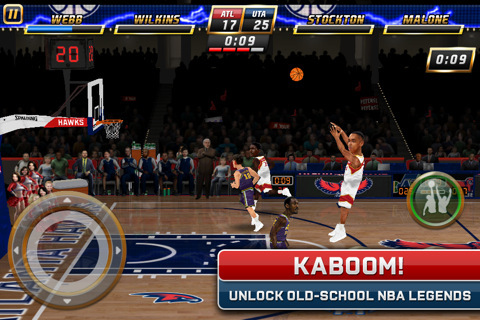 AppSafari review of NBA Jam was written by Joe Seifi on February 10th, 2011 and categorized under App Store, Featured, Games, Sports. Page viewed 4894 times, 1 so far today. Need help on using these apps? Please read the Help Page.